Gone are the days when a Parisian exercise regime consisted of a daily stroll to the corner bakery. 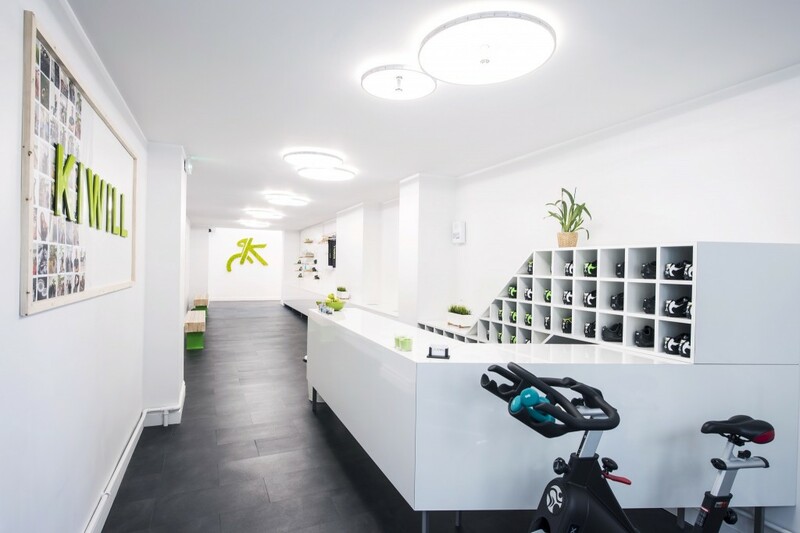 The global fitness boom has finally landed on French soil and these 12 trendy fitness studios, offering everything from spinning and yoga classes to boot camps and barre workouts, are the best in the capital. Over 2,500 Parisians ride with Dynamo every week, including celebrities like Léa Seydoux. The soundtrack to each candlelit, bilingual, 45-minute class is unique and there’s also a twice monthly DYNAMOLIVE session with a DJ or drummer. The studio collaborates with brands like Nike, Lululemon, Kitsuné, and colette on clothing, classes, and exclusive events. Reservations are made online and the weekly schedule goes live on Mondays at noon. The studio supplies everything you’ll need (water, towels, lockers, hair ties, Cowshed bath and body products), apart from your workout gear. The classes at Kiwill are limited to roughly 30 participants and led by fun and motivating coaches, including two dancers from the Opéra de Paris, each with their own style, sporting passions, and musical tastes. There are classes every day of the week, some as early as 7:45am and as late as 8:45pm, and an English-language session is held at 11:00am on Sunday mornings. Reservations are made on the website and there’s no obligation to subscribe. Shower and changing facilities are provided as well as fruit, water, and bath and body products. All that’s needed are your kit and a desire to get fit. As well as a subscription-free system and the ability to choose courses, classes, and even bikes online, Let’s Ride wanted to offer their riders a unique architect-designed space that reflects the trendy surroundings in the 11th arrondissement, and includes a specialized lighting system. In one 45-minute session, which works the upper body through dances, pumps, and weights, and the lower body for power and speed, you can expect to burn up to 700 calories and leave feeling uplifted. You can also check out the coaches’ recent track listings on the website to find out which of them shares your musical taste. 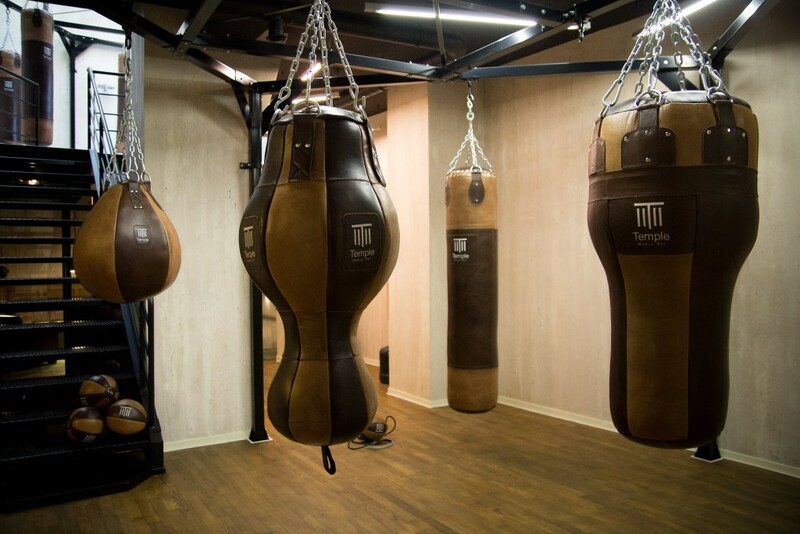 Temple is the chicest boxing gym you’re likely to find anywhere in the world. Located just a stone’s throw from the Palais Royal, it provides members with three distinct workout spaces: in the arsenal, they work on their speed, agility, and power and use punching bags to improve their technique; in the bag room, they do strengthening work and cardio; and, finally, they put into practice what they’ve learned in the ring. Temple offers training in four types of boxing: English, French, Thai and kickboxing—members can take group lessons of up to eight participants, or practice alone. Midtown Studio brought hard-core boot-camp-style workouts to Paris. You can find its blacked-out gym in a converted coal depot off the avenue Marceau in the 8th arrondissement, where intensive 45- to 60-minute sessions using weights, running machines, and ropes will see you burning through up to 1,000 calories. Class sizes are limited to just 10 participants, so the coaches can give a lot of targeted advice and support (in English and French). This place isn’t for the fainthearted but those who are serious about fitness and all-out exertion will love it. The CrossFit craze that has taken the US and UK by storm is finally making its mark on France, with its unique mix of body conditioning, cardio, weightlifting, and camaraderie. R2 Bastille is the standout studio in Paris, combining the sport’s trademark workouts with obstacle race course (ORC) boot camps, yoga classes, and group runs of no more than 16 people. As well as a goal-oriented method for getting fit fast, it’s a brilliant way to make lasting friendships, not an easy thing to come by in a big city like Paris. Conquer Your Day is that kind of chill approach to working out that only a Parisian could have come up with. Romain Rainaut and his team of CYD ambassadeurs are at the head of the motivational cross-training movement. You can join it by signing up on Facebook and attending your first evening session. The group, which can number dozens of people, meet at 8pm at a different spot in Paris, everywhere from Montmartre to Odéon, for a 30-minute run followed by a 25-minute workout and 5-minute stretch. Afterwards, you can cap off the conquering of your day with an apéro. 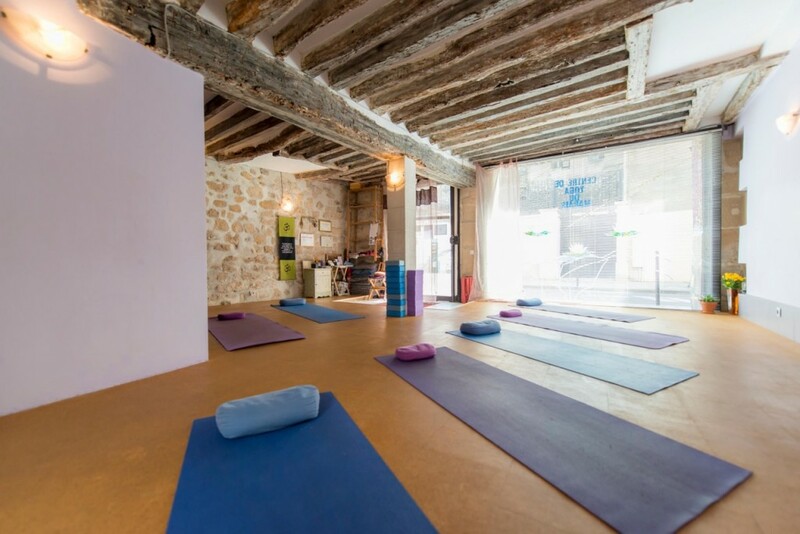 Established in 2001, the Centre de Yoga du Marais, located in a quiet side street of one of Paris’ most desirable neighborhoods, is something of an institution. Founder Michelle Jacobi and her team of ten qualified, bilingual teachers, each of whom bring their own special flavor to the sessions, practice and teach Hatha Integral Yoga for all levels of ability and experience, from children to seniors, absolute novices, to lifelong practitioners. The original hot yoga, Bikram involves performing 26 postures and two breathing exercises over a 90-minute session in a room heated to 40°C (104°F). Under the attentive eyes of Yoga Bikram Paris’ expert trainers, you’ll feel the psychical and psychological benefits from the first session. For English-only speakers, there is a daily session at 11am in the Marais and another at 4pm at the Grands Boulevards studio. Wear light clothing (shorts and a sports bra for women will suffice), bring a towel, and hydrate well before the session (you’ll sweat more than you’ve ever done in your life, guaranteed). Held in a luminous mirrored room at the Elephant Paname dance school, the BarreShape workout combines ballet, yoga, and cardio training to help you sculpt, tone, and refine your body and improve your overall sense of well-being. The 60-minute classes are led by fun, friendly instructors and require no prior dance experience. Instead, they involve interval training, exercises at the ballet barre, with a ball, or on a mat, cardio vascular movements to burn fat, and stretching for muscle elongation. Classes are in English or French and can be in groups of up to 25, with four friends, or private. The Klay club occupies an impressive 2,000m² building (21,500 ft.²) in the Montorgueil district, a converted 19th-century factory with all the woodwork and exposed metal girders you could hope for. Designed with a luxury hotel in mind, the gym comprises a lobby, bar lounge, spa (offering tailor-made treatments), snow boxes, hammam, massage rooms, business center, and swimming pool. 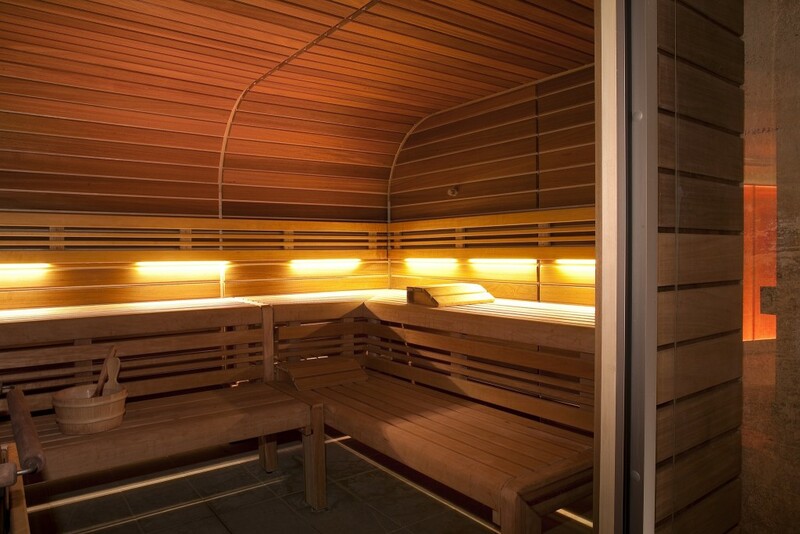 Members also have access to, of course, a top-of-the-range workout suite and unlimited towels. The gym’s team of experienced coaches are also on hand to provide one-to-one training. L’Usine is a sports club that balances the need for an intensive workout and a chance to get away from the city, relax, and work on your mental well-being. The studio at Opéra is stacked with high-tech equipment and the Beaubourg location, a listed 18th-century building, is a boutique gym that acts like a mini-retreat. The clubs also offer regular classes in spinning and yoga and individual coaching.